La Chasse,1359 Bardstown Rd, is offering a special deal on gift cards at their fine dining restaurant. Buy a $100 gift card before December 31 and get an additional $50 gift card free. Two Sisters Jams sells over 150 different jams, jellies, preserves, and dessert spreads, including cocktail based delicacies. 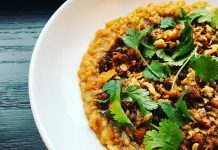 Cooking at the Cottage offers classes and date nights. You can see their schedule here. Fox Hollow Farm offers Steaks for Days or other sampler packs of meat. Kenny’s Farmhouse Cheese has an online shop, so you can order their fine cheeses over the internet if you can’t make it to their farm. Art Eatables makes bourbon truffles and other chocolate goodies. Their shops also sell bourbon related gift items, mixers and books. Bourbon Barrel Foods sells many items that allow you to “Eat Your Bourbon,” bottled liquor and gift sets that pair food and spirits. You can also taste their wines before purchase or grab a cocktail to sip while you shop at their studio kitchen at 1201 Story Avenue, suite 175. The TasteMaker : This gift set allows you to “infuse” your drinks with flavor. It’s really more of a cocktail shaker with built in strainer as most of the recipes call for muddling, but it’s a fun item for someone who likes gadgets and to play around with cocktail recipes. Their gift set includes recipe cards and a set of plastic sphere shaped ice molds. It holds nine ounces. 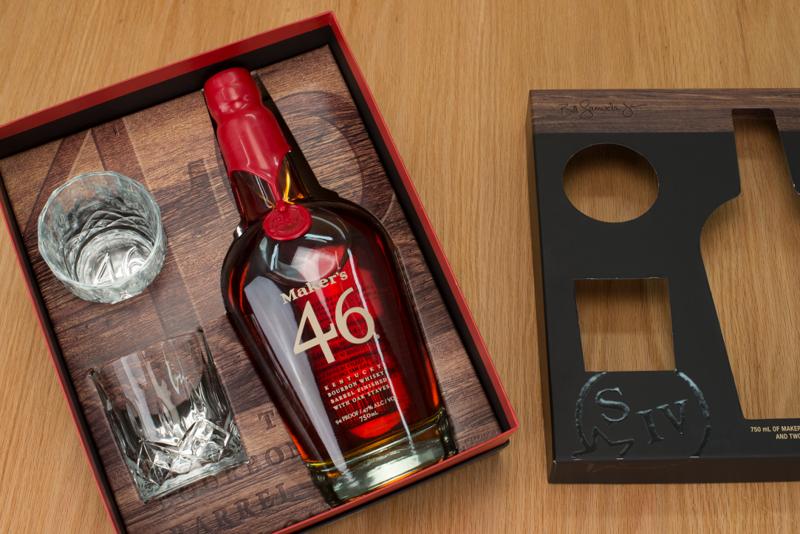 Maker’s Mark has holiday value-added packages: Buy a .750-liter bottle of Maker’s Mark at the normal price and get a premium package at no extra charge that includes extra items like rocks glasses or ornaments (one ornament is filled with bourbon). These are available at most places where Maker’s Mark is sold. Jeptha Creed Distillery, Shelbyville Distillery, has made it easy to shop their gift items in their online shop. (Items include rocks glasses, sweatshirts, barrel heads, ball caps, shot glasses, their new cookbook, and even Bloody Butcher Cornmeal.) For the Coffee Lover: Jeptha Creed partnered with Fante’s Coffee to develop their very own whole-roasted coffee beans, which can be paired with their coffee mugs. You’ll still need to buy their vodka, whiskey, bourbon, gin or moonshine in a retailer or at their distillery. Copper & Kings Distillery tours – Tours of their beautiful facility, including their underground storage where barrels are sonically aged. If you are looking for something really special, they offer various private tours, including one where the Master Distiller will teach a mixology class.